Fredrikstad has rich seafaring traditions through several hundred years. Fredrikstad enjoys the luck of having the river Glomma running thorugh the city. The river is split by the Kråkerøy island before it empties into the Oslo fjord. The city's nice location is helping to raise the number of attractions and activities that Fredrikstad has to offer. Have you by the way found the time to take your family to see Europe's best preserved fortress? Here you can also visit Scandinavia's largest model railway center, or let the kids romp between cannon or oak trees on the grass-covered ramparts here. The walls back home may need to be re-decorated with lusty artwork - the Old City is packed with great art galleries and studios. And just a few hundred yards outside the fortress city you can enjoy a game of golf in a stunning landscape with the Kongsten castle as a backdrop. Fredrikstad is definitely one of Norway's most beautiful cities. You're immediately grabbed by its atmosphere. The people, the swarm and the closeness are three keywords for the cozy wooden city. Whether you are shopping or having a good bite to eat, everything is within a comfortable walking distance. Especially in the summer, there is a buzzing atmosphere in Fredrikstad. For a vibrant holiday vibe, head to the harbor promenade, where, especially in the summer, you can get a bag of prawns on the boardwalk or have yourself a good night out at one of the bars that line the harbor promenade. No wonder, then, that the city‘s “anthem“ is titled “Summer is wonderful in Fredrikstad“. Dragons of all colors and shapes, happy and eager children with their equally eager parents visit the Dragon Festival on Isegran in August. Every summer is buzzing with delightful life, but this year's summer will probably be pulsating heavier than ever before. Few Norwegian cities can boast a taller summer menu than Fredrikstad. Here we'll only mention a handful of the good stuff that's going to happen this summer. Please see What's On for the complete list. Fredrikstad is the place to be for shows, theatrical performances and concerts at venues all over the city, not to mention all the artists who each year are drawn to this beautiful city by Glomma's outlet. 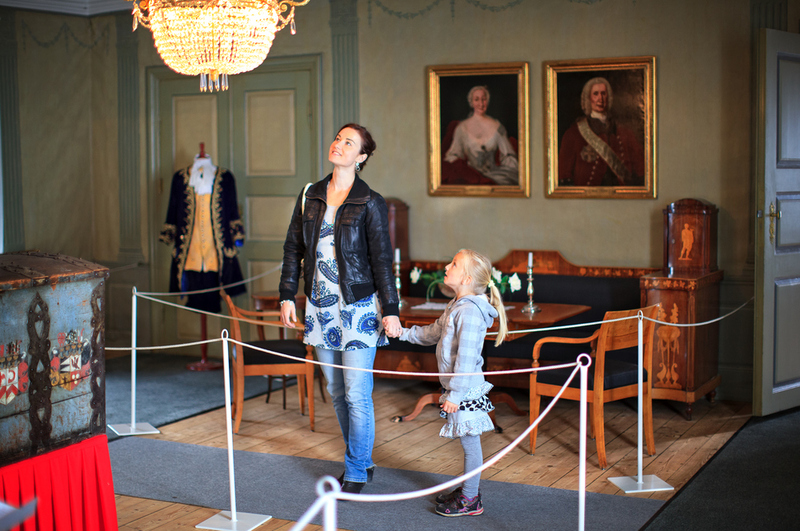 Fredrikstad is proud to be the best preserved fortress town in Scandinavia. Østfold's biggest festival, Glommafestivalen, takes place from the end of July until the first days of June as usual. This is a family festival where almost all events are free. Glommafestivalen has always focused on water because the river Glomma, which runs through the city, has been important for the development of the city. Top artists will perform during the festival, and among other activites are the River Duel, boat parade and the Cardboard Boat Race with the most creative craft you have ever seen, and all of them are made from cardboard! Fredrikstad has rich seafaring traditions through several hundred years. On the island Isegran you can learn more about the city's maritime history at the Maritime Center shipyard. They specialize in re-creating wooden boats used in earlier times, and the Fredrikstad Museum has a special section on Isegran showing a maritime section in the navy's old mines storage room. Isegran also hosts a wooden boat festival with a regatta around Kråkerøy island. Dragons of all colors and shapes, happy and eager children with their equally eager parents visit the Dragon Festival on Isegran in August. See our cultural calendar for furher information, date and time for the Dragon Festival. The Literature Festival takes place in the beginning of September. Almost all of Norway's most prominent authors and quite a few of their international colleagues attend. Trend-setting restaurants and vibrant nightclubs next to idyllic archipelago. There's no denying that the real "jewel in the crown" in Fredrikstad is the Old Town (Gamlebyen). The fortress city and Norway's first renaissance city with its lovely and rustic exterior has a unique and magnetic attraction for tourists, and is one of Norway's most visited tourist destinations. The Moon Festival (Månefestivalen) is held during the last weekend of July. This festival is very popular among Norwegian concert-goers, mainly because of the special atmosphere and surroundings in the Old Town, but also due to the jovial and charming way the citizens of Fredrikstad welcome the festival visitors. Beautiful roads lead from the city center into the archipelago: both to the south, west and north of Fredrikstad. 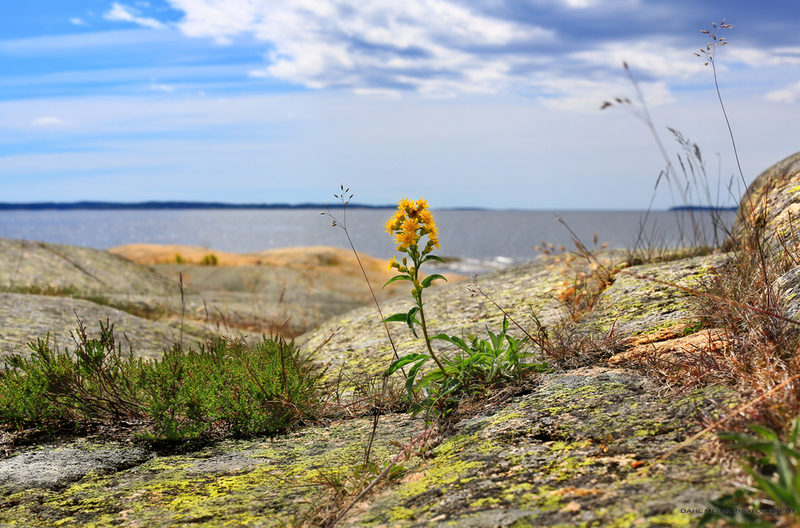 The Fredrikstad coastline, where nature always changes with the seasons, is certainly something you should experience when visiting Fredrikstad. Indeed, if you choose not to visit Fredrikstad’s stunning and beautiful archipelago, you'll only get to know the city half-way. 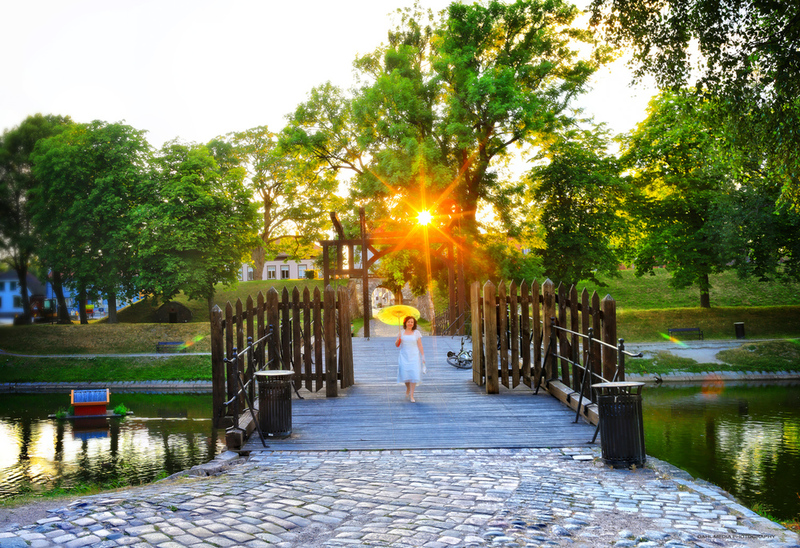 The Old Town is very close to downtown Fredrikstad - just two minutes away with the town ferry across Glomma, and you'll find yourself in one of the world's best preserved fortress cities. The Old Town has an almost magnetic atrraction for visitors. Here you walk on cobblestone streets, soaking in impressions from exciting views of the empire-inspired blocks of brick buildings and colorful wooden houses. Here are a number of personal and unique shops in a cozy 1700s environment where small shops and second-hand stores lie side by side with all the galleries and cafés. Market in The Old Town every saturday, all year around. In the Old Town you can visit the Fredrikstad Museum, the Glass Hut, the Jorunn Bråthen Pottery, art galleries, the Art Center Bastion 5, the Whaling Museum, the Model Railway Center and the Santa Night House, where Christmas products are sold all year long. The Fortress Path (festningsløypa) is a walk that takes you to places and buildings where you can learn a lot about the everyday life in a fortress and national military historical events. Along the way are numbered signs to follow while reading the self-guiding map. The length of the walk is approximately 2 kilometres and the time to finish the trip is calculated to about an hour and a half at strolling pace. You may feed the ducks, study the birdlife in the moat, take a ferry ride to Gressvik and back, bring a guidebook and study the city and visit the free market on Saturdays. There is a playgound for children, several restaurants and daily guided tours in the summertime. We highly recommend that you catch a guided tour in historical surroundings once you've made it to the Old Town of Fredrikstad. The Old Town is the oldest part of Fredrikstad. It was founded on the 12th of September 1567 on the east side of Glomma, where the river splits into two courses. King Frederick II signed the city founding letter and Fredrikstad became the first Norwegian city founded since the Middle Ages, and the first to be named after the king by the king's permission. It is a fun oddity that King Fredrik himself never visited the city he lent his name to, but he sits proudly on his pedestal in the town square, nonetheless. The background for the founding of Fredrikstad in 1567, was a Swedish attack and torching of the city of Sarpsborg the same year during the Nordcic Seven Years War. Sarpsborg's exposed location led the citizens to ask King Frederick's permission to rebuild the city closer to Glomma's outlet. They felt that it would be easier to defend the city here and at the same time provide good living conditions for the citizens. When Norway lost the Bohuslen area with the Bohuslen fortress to Sweden in 1658, Fredrikstad was an important border town. The construction of a brand new fortress commenced in 1663, based on blueprints by the dutch engineering officer Willem Coucheron. Fredrikstad became the army's main supply base and training center in the South of Norway. Fredrikstad is one of three Norwegian cities that have been fortified, and the only one where the fortifications are still intact. Fredrikstad Fortress was built according to the old-Dutch system, with wide water-filled moats and deep earth walls. The fortress has three full and two half bastions on its land side and protruding star spikes with room for cannon. The ravelins lie in the moats, and outside the fortress are advanced fortifications like the Kongsten Fortress. Towards the river the fortifications consist of a solid stone wall reinforced with earth walls. The entrance to the fortress was across the Vinde bridge and through the Voll gate, or through one of the gates towards the docks on the Glomma waterfront. We should be grateful that it's been 200 years since the Old Town was subject to shelling from an alien invading force. That one of the best preserved fortress cities is so idyllic today, is because Fredrikstad Fortress has avoided actions of war for the past 200 years. In contrast to the Fredriksten Fortress in Halden, Fredrikstad Fortress has a less glorious war history. The fortress was attacked only once, in August 1814. The fortress was old, in poor condition and weakly manned. It took Crown Prince Karl Johan Bernadotte just a few hours of bombardment before the fortress surrendered.